Happy New Year! I hope you all had an amazing holiday!! 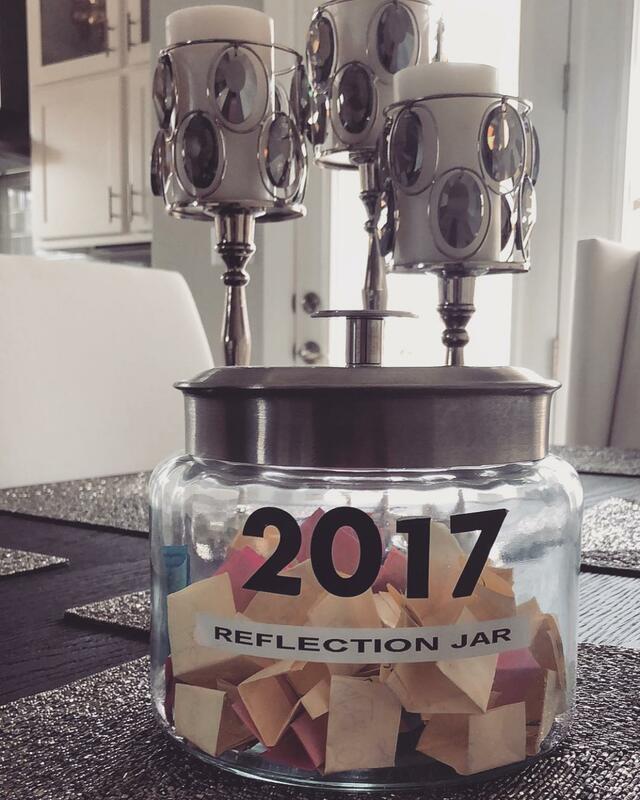 Every Jan 1 I create a Reflection Jar. This jar holds memories for Chris, Dante’ and I that are sentimental highlights , funny moments, places we have traveled, accomplishments, things we have done, connections we have made, blessings and happy moments throughout the year. New Years Day is the perfect day for my family to sit down, reflect and appreciate how far we have come. It’s also a good time to set intentions for where we want to go and things we want to achieve in the coming year. Chris and I were honored to be on the inside cover of Austin Fit Magazine- March Issue. Also in March I had the pleasure of planning the decor and decorating my girlfriend Michelle’s baby shower, see details here, In April, I threw Chris a surprise 50th which totally caught him off guard. I was featured in the The Thyroid Secret Documentary (here) on how I healed my autoimmune with diet. I will do a blog post about that soon. 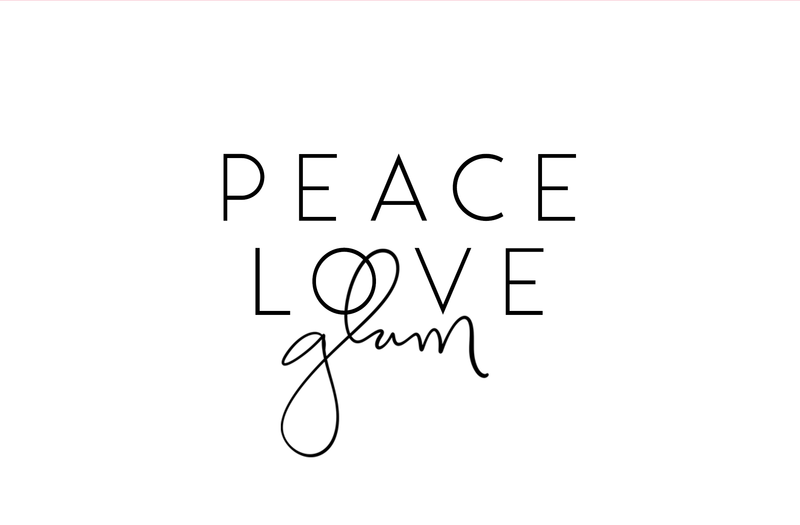 I launched my blog PEACELOVEGLAM on November 22nd I could not have done it with out the help of this amazing human being; Kaitlin Fontenot. 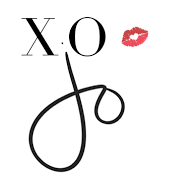 She is a Web Designer extraordinaire with LoveKaitDesigns. She saw my vision and executed it perfectly! These are just a few of the many beautiful highlights of 2017 we are so grateful for! Another yearly ritual I do on New Years day is that I make a Vision Board for the upcoming year for my goals and dreams . If you don’t now what a vision board is let me explain. A vision Board is when you take poster board and you glue pictures you have taken from magazines onto it. These pictures represent images of what you want to accomplish, where you want to live, where you want to vacation, what job you want , your idea of abundance etc. 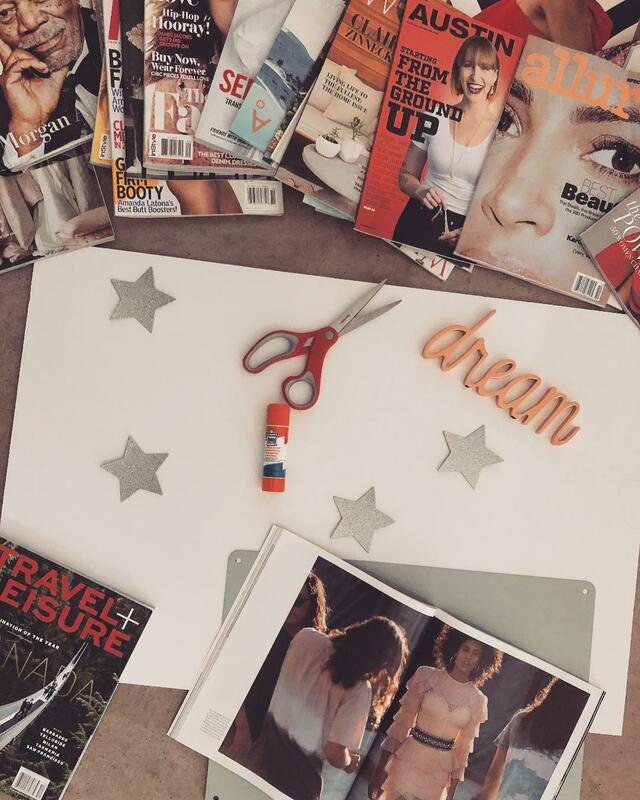 What ever it is you want for your dreams/goal you find the picture that represents it, cut it out and glue it on your ‘vision board’. Its goal setting, but visual. 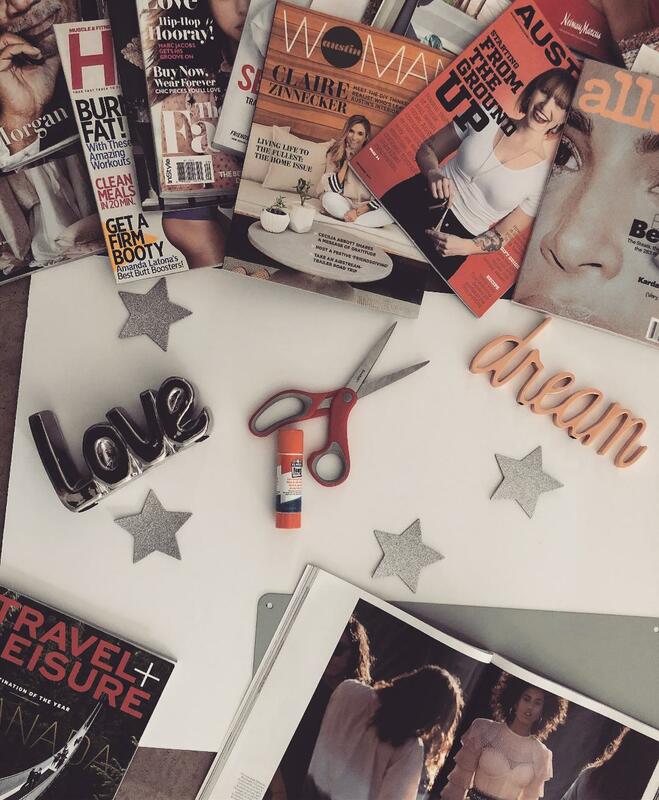 Vision boards add clarity to what you desire and is a VERY powerful manifesting tool. In order to manifest your dreams you MUST visualize them and the vision board is the perfect tool. Before I begin making my vision board, I meditate and ask my self what it is that I want. I have been making vision boards for 12 years, so sometimes I will get a one (1) word answer. Other times I will get a lot of pictures running through my mind and I simply wait until I get more clarity before deciding what it is I really want. Remember, you have to do what is comfortable for you! 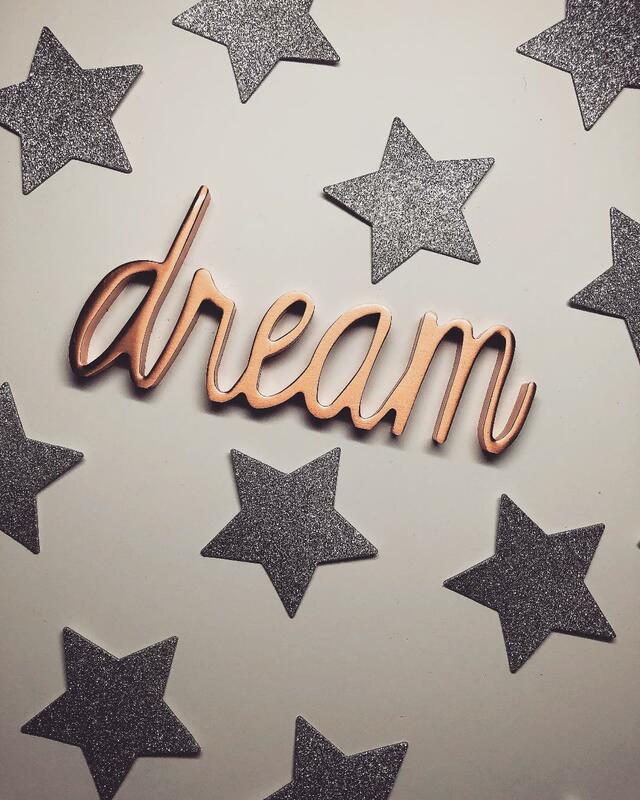 I feel that by sitting quietly and asking yourself what it is that you truly want, you’re vision board will be a much more accurate vision of what it is you really, really desire. First you’ll want to purchase your Poster board. I purchase my poster board at Target or Michaels Craft Store. I have gotten creative through the years and sometimes I use magnetic boards, (example here) picture frames so I can have the visual on my desk. Its totally up to you what you use. There are so many options! Second you will need stacks of magazines. The key is to get a variety of magazines such as yoga, Oprah, fitness, fashion, travel, nature, money, Forbes and home decor. You get the idea. Variety is key. Third you will need glue; or in my case I like to use magnets or tape. The reason I like to use magnets is that after I achieve/reach a goal I take the photo down and put in a box. My goal is to one day look at that box and see all of my achievements. One last thing of note is that when I take a pic i.e goal achieved down, I put another goal up. 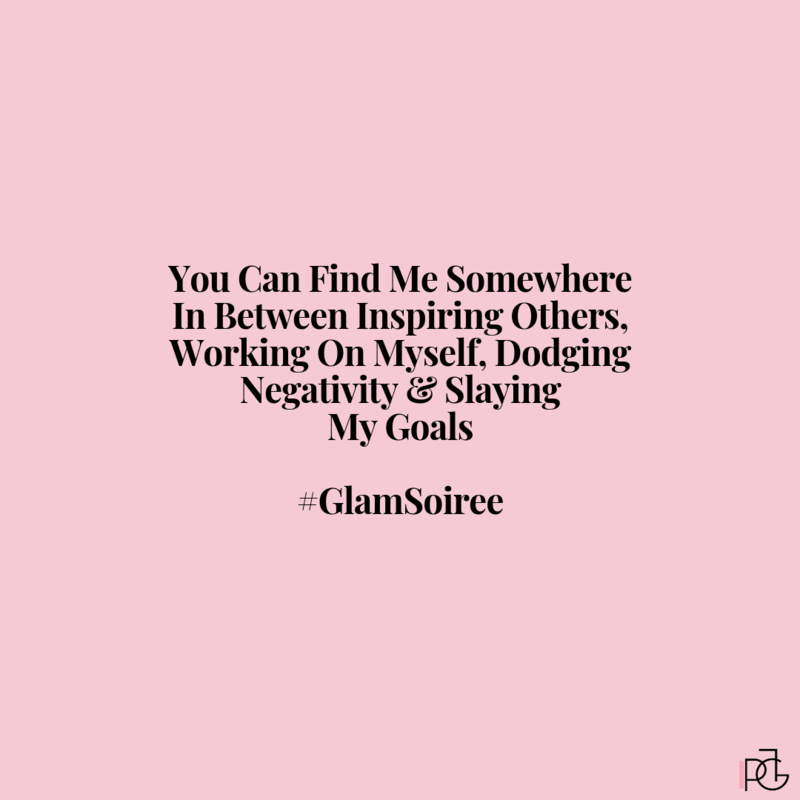 This way I’m constantly working toward something new! Now you are ready to begin the process! Step 1: Go through your magazines and tear the images that speak to you. My favorite part is looking through magazines and pulling out images, phrases and words that resonate with me.Remember to have fun with it. the goal is to have a pile of images, phrases and words to paste on your board. Step 2: Go through the phrases, words and images and begin to lay your favorites on the board. Discard images that no longer feel right follow your gut/ intuition. You will begin to get a sense of how you want your board to be laid out. Be creative! Remember this is your board and your vision. Step 3: Glue everything onto the board. Step 4: Hang your vision board in a place where you will see it daily. I hope this post inspires you to create your vision board or reflection jar for 2018. 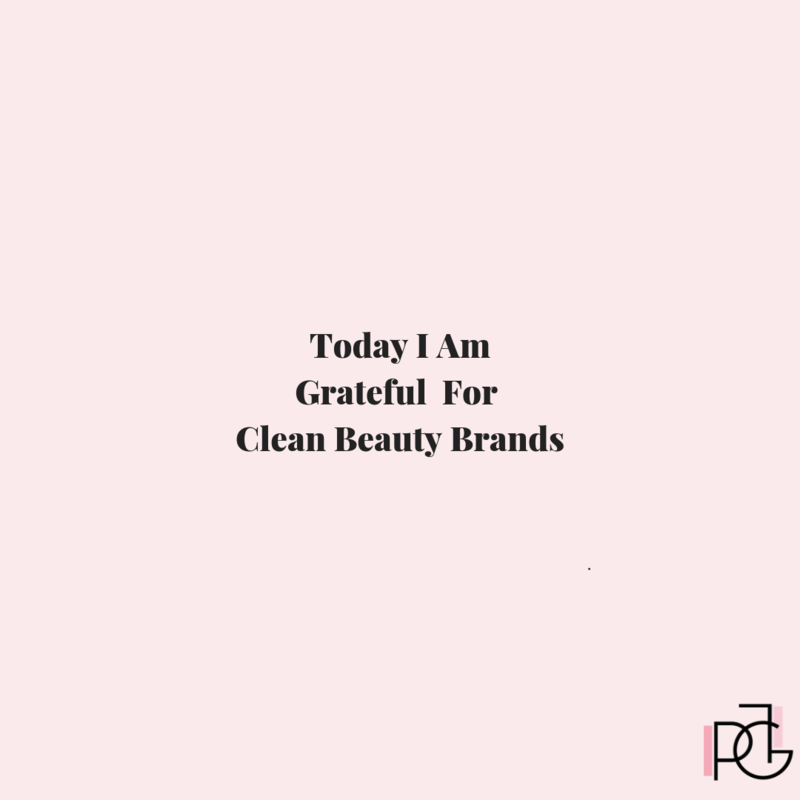 Thank you for stopping by I am truly grateful for you! Cheers to 2018!! Omg a vision board is such a great idea. I usually just write down everything in my planner and keep it next to my bed. I love vision boards because you can see it daily!